regret to record the loss (by removal to Sydney) of the valuable services of their late respected and energetic secretary Mr William Briggs, whose deep interest in the affairs of the Society, together with those of his estimable wife, from its very formation, contributed in a very great degree to raise it to its present important position. For some time past an association of ladies, principally residents of West Maitland has been in quiet but active operation, relieving cases of distressed families after due inquiry, and extending help to poor women during confinement … the ladies who have undertaken this labour of love are entirely dependent on voluntary contributions for their weekly operations, and they usually meet for consultation at the house of Mrs. Briggs, Hannan-street. We believe they style their association a “Benevolent Society”. The work of the MBS was greatly appreciated. It was a society run by women who were appointed at the annual public meeting and it was these women who provided its committee of management and carried out the dispensing of aid. The women’s committee of management appointed its own secretary and they appointed the only male member, William Briggs. The MBS followed the pattern of careful inquiry to ascertain the genuine need of those in distress and those deemed to be so were dealt with by one of the women from the committee. 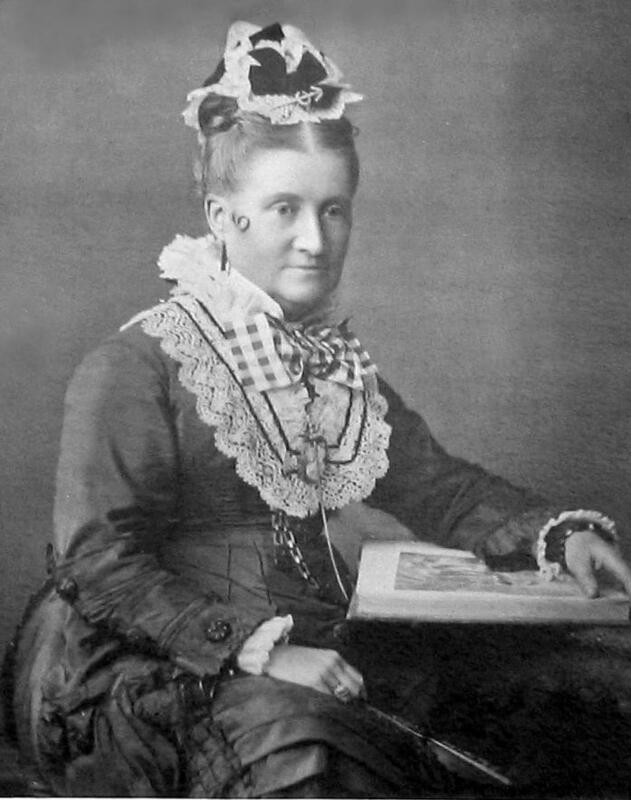 Charlotte Briggs was the primary person in such actions and in 1872 it was reported that she personally dealt with 72 of the 135 persons assisted by the society. With empathy, a focus upon poor pregnant women was maintained and these were attended to, after 1870, by a special MBS Dorcas Committee dedicated to this task. The society also gave significant assistance to those displaced by the periodic flooding in the district. The ladies of the MBS not only dispensed charity but collected funds to enable them to do so. Both Charlotte and Elizabeth did so but it was Charlotte, in partnership with the treasurer Deborah Cohen, who were by far the most effective and energetic in the collection of subscriptions. Charlotte also exercised a spiritual ministry in the Asylum where she attended ‘every Sabbath [when she] faithfully read to them the Word of Life.’ By its constitution, the meetings of the MBS were all required to be opened and closed in prayer and so the work of the MBS was clearly seen as a Christian ministry. The MBS was non-sectarian in its approach and in its allocation of aid and was careful to initially give evidence of this fact. Early reports often indicated the religious affiliation of those assisted and Roman Catholics were, by a slim margin, the largest group of those who were recipients of aid. the Society has been called into active exercise, and the Divine announcement “that the poor will always be with us,” [has] again and again been verified; for although your Committee have, (with but few exceptions) withheld assistance from able bodied people, the applications from the aged, infirm, sick, and destitute, have tested the resources of the Society to the utmost; and, notwithstanding the limited assistance, rigid economy, and frequent attempts by temporally withholding relief to make the poor self-reliant, yet still your Committee have to report that the assistance afforded during the past year has far exceeded in value the receipts of the year. 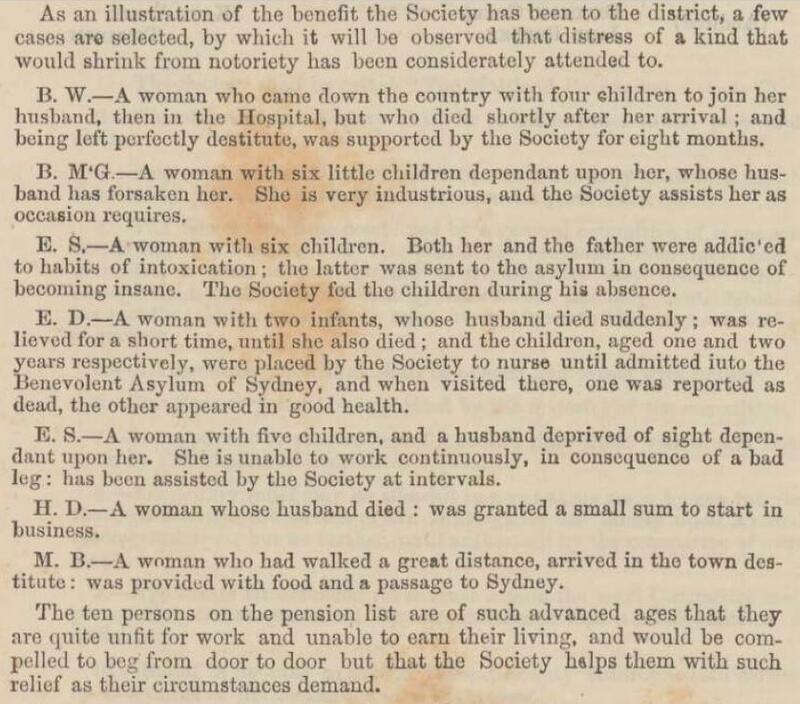 The sorts of cases dealt with may be seen in part of the second annual report of the MBS for the year 1868 in which the MBS commenced their practice of reporting examples of those assisted by the society. The primary purpose of such reports was to assure financial supporters of the MBS that their funds were being well allocated to genuine cases of hardship and that donors and the MBS were not encouraging pauperisation. In 1874, a maternity ward was begun by the MBS in a rented building and a block of land was purchased to build an asylum. The asylum’s foundation stone was not laid until 10 years later in December 1884, and it was not opened until 1886, well after the death of Charlotte, the MBS founding president. At her death it was said of Charlotte that ‘the duties of her position she ever discharged with remarkable impartiality, self-denial, efficiency and zeal’. After the death of Charlotte and with William’s marriage to Elizabeth Rourke, Elizabeth became the vice-President of the MBS. 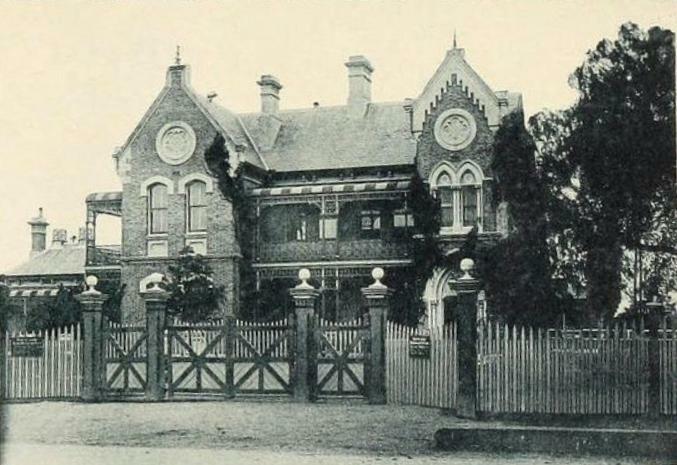 The Briggs then continued their involvement with the MBS, William as secretary and Elizabeth as vice-president, until they moved to Sydney in 1884. William had been secretary for 17 years and Elizabeth a member of the committee since the formation of the MBS in 1867. Summarising his life, he also said of himself that he was ‘In everything pertaining to the welfare of the town and district’ and that is clearly shown by the range and variety of his community involvements. It would indeed be a subject of great lamination and groaning if God could only be found inside a Denominational school; but I have been living in the belief that God is every-where, and can be found as readily by a poor Public school child as any highly-favoured Denominational school child. What was desired by the PSL, and was supported by Briggs, was a free and compulsory education system which would include non-sectarian religious instruction as part of its program. The West Maitland Volunteer Rifles (MVR) was formed in August 1860, and it is likely that William was a leader in its formation and joined soon after that time. He was clearly a good shot with the rifle as he won prizes at shooting matches for the Volunteers held at Randwick. In 1866, he won the MVR shooting Championship Belt, but his standing as a marksman did not ensure that he was appointed to leadership roles for in 1867 he missed being elected Ensign of the MVR. In 1870, William was a member of a Committee to form the Second Volunteer Rifle Corps in West Maitland (WMVR) as the existing Volunteer Rifle Corps had it full number enrolled. Such an additional body was, he agreed, ‘in the present unprotected state of the colony, highly desirable’. In 1873, he was elected its secretary and by 1874 held the rank of Colour Sergeant; he continued to hold that rank until 1879 when the WMVR was disbanded. Briggs was a Mason and a member of the Maitland Lodge of Unity No 804 EC at least from 1855. Soon after his arrival in Maitland, he was appointed the Senior Warden of the Lodge and as a Senior Warden he was second in charge of the Lodge. That he was appointed to such a position suggests that William may have been a mason prior to his arrival in Australia. In 1859, he was Secretary a post he seems to have held until 1861 when he was appointed Worshipful Master. William was active in promoting the interests of Freemasonry and was responsible for the Maitland Lodge being granted a Charter of the Northumberland Chapter and thus becoming the only Chapter of the Royal Arch outside of Sydney. At some stage, he became a member of West Maitland Lodge of Unity No 547 EC and promoted the cause of Freemasonry in Singleton by opening and leading the Singleton Lodge of St John 1038 EC for a period of 18 months in 1865 and 1866. William was appointed to the Committee of the Maitland Hospital in 1855, a position in which he actively served until at least 1867. He maintained an interest in the Hospital as a subscriber and was made a life member of Maitland Hospital in 1882; this was awarded as the result of giving a £10 donation. Briggs was a member of Committee of the Maitland School of Arts from 1855 until 1857. In 1855, he had been engaged in his professional capacity to draw up a Trust Deed for the institution so that the organisation would have, as most such organisations had, a Committee and a set of Trustees. In 1859, he was in a serious dispute with the Committee concerning the Trust Deed as he refused to surrender the document to the Committee. This would appear to be a dispute over the right of the Committee to request the Trust Deed from him rather than the request coming from the Trustees. The Committee threatened legal action against Briggs, but he refused to budge. The rights and wrongs of this dispute and the reason why Briggs was so resolute in his refusal are difficult to determine. His principle seems to have been that he could only release the Deed by the instruction of the Trustees and he offered to contact them to get such permission. One newspaper wrote of the public attitude to Briggs’ inaction, ‘it is generally said Mr Briggs is unconsciously used herein by a party – more active than numerous – to carry out their peculiar views, and who have signally failed hitherto in their attempts to control the affairs of the institution by legitimate and proper means’. It is, however, difficult to see what Briggs would gain by refusing to act in the way requested as such a refusal was the cause of considerable public agitation and possible damage to his reputation and standing in the community. The best explanation seems to be that Briggs had a legal difficulty with what was being requested of him and this being so, he refused to compromise. The Committee eventually dropped the contemplated action when they realised the magnitude of the costs involved in seeking to pursue legal action against Briggs and, more pertinently, they had obtained an attested copy of the Deed by other means. Needless to say, Briggs discontinued his direct involvement in the School of Arts. Briggs was involved in other community activities. In 1854, he was Secretary for a committee agitating for ‘Deepening of the River Hunter’. In 1855, he was Secretary for a Committee to prepare for the visit of the Governor to Maitland and Secretary of the Hospital Bazaar and in 1865, a member of the Maitland Regatta Committee. In 1870, he stood for the local council and was appointed to a vacancy on the Council in May of 1870, but a year later he was declared to have forfeited his seat on Council through a three month absence. He was Secretary of the Great Northern Permanent Building and Investment Society from its formation in 1875 until the appointment of a paid full-time secretary in 1878. He was also a member of the Hunter River Agricultural and Horticultural Association in 1880 and 1881. While in Maitland, William and Charlotte identified with the Wesleyan Church for most of that time and were involved in various activities in connection with that Church. Initially, however, William and presumably Charlotte were members of St Mary’s Church of England, West Maitland. In 1856, Briggs donated £2 2s to the St Mary’s Church Organ fund  and in 1860, at the laying of the foundation stone of St Mary’s, William Briggs is listed as a Church Warden as he had been appointed the people’s warden in 1859. Later that year, he contributed £50 towards the building of St Mary’s and in 1861 he was present at a St Mary’s Church meeting to consider the parish boundaries. Around late 1861 early 1862, Briggs was in dispute with St Mary’s when the church refused to contribute to the costs of the case Cooke v Briggs where the church had been the financial beneficiary of Briggs’ actions. The Briggs family became members of the Wesleyan Church in West Maitland. It is likely that the change of church was not directly related to the financial dispute between St Mary’s and William. While the Briggs may have been unhappy at St Marys’, it appears that other events were more instrumental, if not in their leaving of St Marys’, at least in their commencing attendance at the Wesleyan Church. In April 1865, the Rev William (California) Taylor came to preach at West Maitland and Charlotte attended; ‘she was deeply impressed with what she saw and heard’. Later at a Methodist Class meeting, she became aware of a ‘deepened sense of guilt, night came on but she found no sleep, the burden of sin was too heavy to admit of slumber, and she spent the silent hours in earnest prayer’ at the conclusion of the night ‘she was able to say that her sins, which were many, had been forgiven, and that justified by faith she had peace with God though our Lord Jesus Christ.’ Charlotte, and presumably William, joined the Wesleyan Church sometime shortly after Taylor’s visit to Maitland at the end of April 1865. By 1866 or 1867, Charlotte began conducting a Sunday school in their home “Hannan House”. 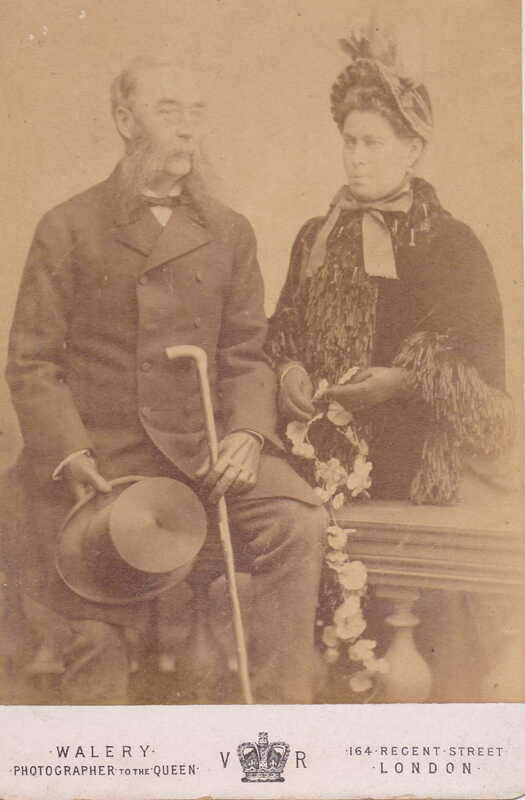 For his part, from 1865 to at least 1878 William was a member of the Wesleyan District Committee on Foreign Mission and a financial supporter of missions and continued to be so even after his move to Sydney. He was a member of the Wesleyan Methodist District meeting from 1872 until 1874 and possibly until 1880. He was a representative of West Maitland at the annual Wesleyan Conference in Sydney between 1879 and 1882, and during 1874 and 1875, he was superintendent of the West Maitland Wesleyan Sunday School. William was also a Circuit Steward 1879 and1880, a member of the Maitland Branch of the Wesleyan Church Sustentation And Extension Society in 1865 and 1866, Choirmaster at West Maitland, Wesleyan. Then, from 1869 until 1873, he was President of the Wesleyan Improvement Society and he also had provided a loan to the church of £500. In 1866, Briggs was appointed Secretary of the Maitland Town Mission which was under the chairmanship of J D Langley and formed because it was said that ‘the spiritual condition of a large portion of the inhabitants of West Maitland and its vicinity renders the establishment of a local town mission highly desirable’. This was to be a mission along the lines of the London City Mission and was aimed at improving the spiritual and temporal condition of the inhabitants of Maitland. It was unsectarian and was managed by the representatives of the various Protestant denominations. John Wilson, who had had Town Mission experience and was a former agent for the Bush Mission, was appointed missionary. Briggs only served one year as Secretary but remained on the committee for the short life of the mission which closed early in 1868 due to a lack of public financial support. 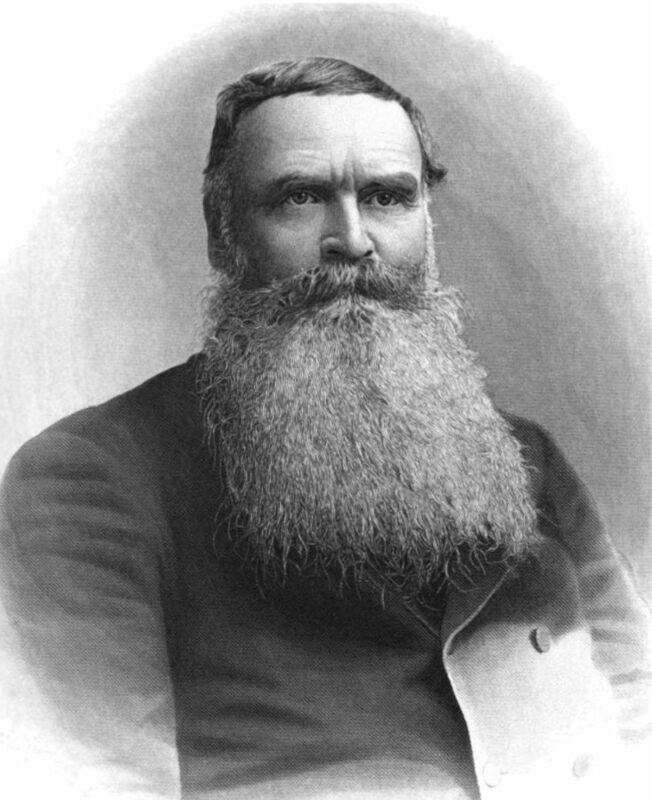 On moving to Sydney, Briggs was elected a member of the Evangelical Alliance in 1895 and served until 1897. He and Elizabeth were associated with St Peter’s Anglican Church, Woolloomooloo and it is from this church that his funeral was conducted, as was that of Elizabeth in 1918. William had an interest in choral music. As early as 1855 he was singing at a concert in Maitland and in 1857 he was involved with the formation of the Maitland Philharmonic Society. He sang in the choir of the West Maitland Wesleyan Church and for a time was its Choirmaster. 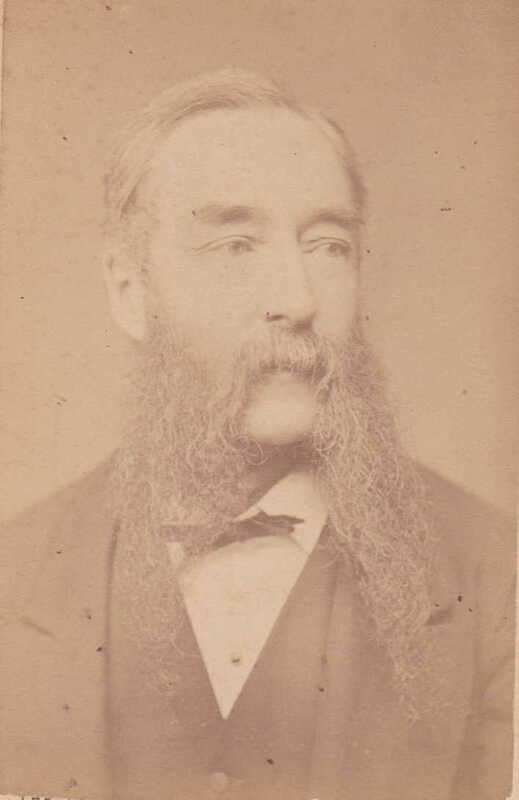 On his move to Sydney he became, in 1888, the Secretary of the Sydney Philharmonic Society, a position he maintained until 1893 though he continued his involvement until a year prior to his death. He also was involved with the choir at his church St Peter’s Anglican, Woolloomooloo. The Happy Day Division No 6 West Maitland Sons of Temperance was formed in July 1866 and it is probable that William joined at that time. In 1868, he was appointed to the position of Chaplain and in 1869 and 1870, he was Grand Worthy Associate of The Hunter River Grand Division of the Sons of Temperance. After a meeting in 1867, which was addressed by Samuel Goold, Briggs moved a motion, seconded by John D Langley, to form a Maitland committee of the New South Wales Political Association For The Suppression Of Intemperance and he was appointed a member of the Committee. He was a teetotaller and believed that total abstinence was to be preferred over temperance. He was, however, thankful to see the thin end of the wedge inserted in the fabric of the drinking customs and he spoke of the ‘evils of intemperance, and the moral ruin and misery caused by it in families and communities.’  It does not appear that the newly formed branch of the Association existed for very long. he would say to his temperance friends that it seemed to be a necessity that wines should be drunk, and if so, it would be better for them to be drunk amid the best surroundings of civilised life – under such circumstances as would induce to the most enjoyment. In his life-time, William was involved in a wide variety of charitable activities which utilized his considerable administrative skills and experience. He was a community-minded man who involved himself in most community activities in West Maitland. His philanthropy was not financial as he appears not to have given any significant sums of money to charitable causes. He was, however, an active governance philanthropist, giving of his time and effort to the administration of charitable causes. In such roles he was not a person who sat on a board of governors simply to lend his name to give prestige to a charity; he was committed to serving the charity and often accepted the onerous role of secretary. As impressive as the wide-ranging philanthropic activity of William was, it is the work that Charlotte undertook that was ground-breaking. In what appears to be directly related to her conversion to an evangelical Wesleyan Christian faith, which gave her a deep sense of social responsibility, she was instrumental in founding and furthering the Maitland Benevolent Society. This was a charity run largely by women and in this, she was supported by Elizabeth Rourke who would become William’s second wife after Charlotte’s death. Though this charity’s board were all women, elected at an annual public meeting, it was not exclusively run by women for the women appointed William as their Secretary. Women, however, raised the funds and did all the face-to-face work with those to whom the women decided to allocate funds. Charlotte was its leading and most active member and in this, William supported her philanthropic activity. England, Select Births and Christenings, 1538-1975, July 15, 1828. Empire (Sydney, NSW), December 13, 1853, 3. England & Wales, FreeBMD Marriage Index, 1837-1915, July 4, 1853; The Weekly Advocate (Sydney, NSW), March 1, 1874, 386. She was born on 3 January 1820. The Legal News (Ed James Kirby) Vol X, (Montreal, 1887), 195-196. She died at Muree, Raymond Terrace on December 12, 1869. The Maitland Mercury and Hunter River General Advertiser (Maitland, NSW), hereafter MMHRGA, December 18, 1860, 1. The Sydney Morning Herald (SMH), November 3, 1853, 4. MMHRGA, February 18, 1854, 3. MMHRGA, October 31, 1855, 3. MMHRGA, February 4, 1879, 1. Elizabeth died on October 8, 1918. SMH, October 10, 1918, 6. MMHRGA, November 15, 1879, 4. MMHRGA, January 31, 1885, 6. MMHRGA, April 26, 1879, 6. Another account of the formation of the MBS gives its starting date as April 3, 1867. The Maitland Weekly Mercury (Maitland, NSW), May 12, 1917, 11. MMHRGA, May 30, 1867, 3. Report adopted at the fifth annual meeting of the Maitland Benevolent Society 1871, dated April 1872, 6. MMHRGA, December 18, 1884, 4. Evening News (Sydney, NSW), September 20, 1872, 3. 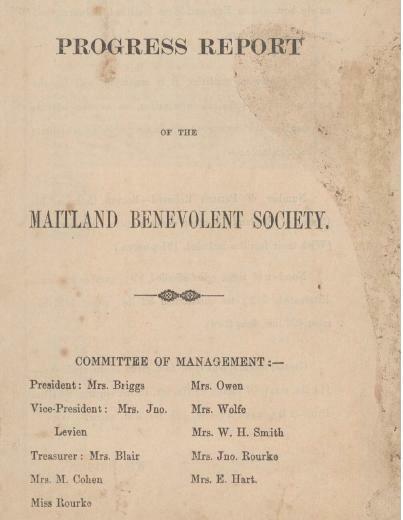 Progress report of the Maitland Benevolent Society [Maitland, N.S.W. : The Society, 1868]. MMHRGA, April 26, 1879, 6. Report adopted at the fifth annual meeting of the Maitland Benevolent Society, April 1872, 5. Report adopted at the second annual meeting of the Maitland Benevolent Society, April 1869, 3. MMHRGA, December 18, 1884, 4; The Daily Telegraph (Sydney, NSW), February 17, 1886, 5. Report adopted at the thirteenth annual meeting of the Maitland Benevolent Society, April 1880, 3. MMHRGA, January 31, 1885, 6; March 20, 1884, 5. Maitland Weekly Mercury (Maitland, NSW), May 12, 1917, 11. Briggs resigned as Secretary in 1881 to go overseas on his return in 1882 he was reappointed Secretary. MMHRGA, July 9, 1881, 7; February 6, 1883, 7. MMHRGA, July 9, 1881, 7. The Maitland Daily Mercury (Maitland, NSW), May 17, 1910, 4. MMHRGA, July 6, 1876, 4. MMHRGA, March 23, 1872, 1. MMHRGA, September 8, 1874, 3; Empire (Sydney, NSW), September 5, 1874, 4; The Maitland Weekly Mercury (Maitland, NSW), July 23, 1927, 8. MMHRGA, August 14, 1883, 4. He had offered to resign the position in 1881 prior to going overseas but by decision of the board a temporary replacement was appointed until his return. MMHRGA, July 2, 1881, 7. MMHRGA, November 24, 1874, 3. MMHRGA, October 29, 1874, 4. Rev Samuel Unsworth Rothwell (1840-1875) Congregational minister. The Sydney Mail and New South Wales Advertiser (Sydney, NSW), October 9, 1875, 471. He was present at a meeting prior to the swearing in of members of the volunteers which would suggest he was involved from the very beginning. MMHRGA, October 11, 1860, 2; October 3, 1861, 2; October 9, 1879, 5. MMHRGA, October 3, 1861, 2. MMHRGA, December 4, 1866, 2. MMHRGA, February 16, 1867, 4. MMHRGA, September 22, 1870, 3. MMHRGA, January 18, 1873, 2. 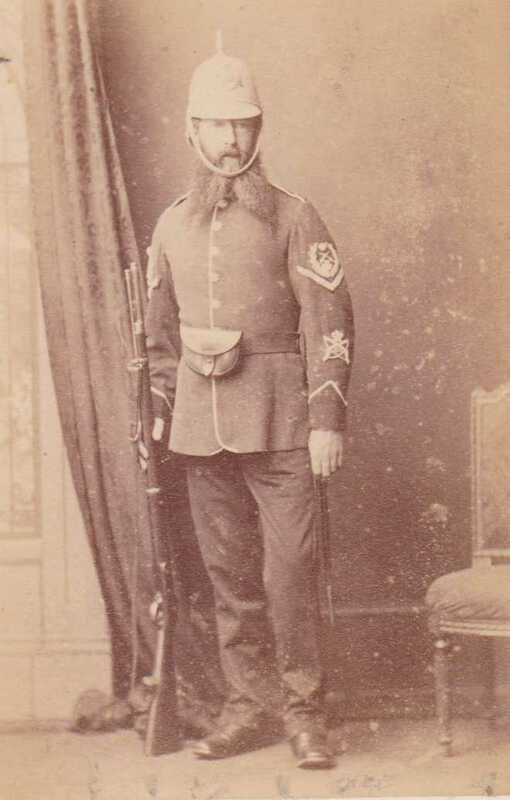 MMHRGA, January 20, 1874, 2.This is a photo of Briggs as a Colour Sergeant. Cf NSW State Library Catalogue SPG/121 “Seven of the portraits are of men wearing the single chevron surmounted by crossed swords with crown and laurel wreath badge of a colour sergeant”. This is confirmed in SMH, April 21, 1866, 5. The rank of colour sergeant was introduced into the British Army in 1813 as the protector of the Ensign and the Colour. Newcastle Morning Herald and Miners’ Advocate (Newcastle, NSW), March 18, 1879, 3. MMHRGA, October 9, 1879, 5. MMHRGA, June 30, 1855, 2. MMHRGA, March 14, 1855, 2. MMHRGA, 1 January 1859, 1. The Maitland Weekly Mercury (Maitland, NSW), September 14, 1895, 6. MMHRGA, May 6, 1862, 3. MMHRGA, December 20, 1859, 3. In England, the Royal Arch is considered to be the completion of “pure ancient Masonry”. In the Craft the candidate is presented with a series of eminently practical principles and tenets which if he practises them he may hope to live a life pleasing to his God, however he worships him, and of service to his fellow man. But man is not simply a practical being, he has an essential spiritual aspect to his nature. That spiritual aspect is introduced in the Third Degree, in which the candidate is led to a contemplation of man’s inevitable destiny, and becomes the central message of the Royal Arch. In that sense, “pure ancient Masonry” can be seen as a journey of self – knowledge and discovery with the Royal Arch completing the practical lessons of the Craft by a contemplation of man’s spiritual nature, not replacing but reinforcing and supporting what he has learned from his religion. https://www.northumberlandmasons.org.uk/royal-arch/ [accessed 2/6/2018]. MMHRGA, June 28, 1866, 2. MMHRGA, January 20, 1855, 2. MMHRGA, January 24, 1867, 2. MMHRGA, January 19, 1882, 4. MMHRGA, October 6, 1855, 2; October 11, 1856, 2. MMHRGA, January 25, 1859, 2. MMHRGA, February 5, 1859, 2. Northern Times (Newcastle, NSW), January 15, 1859, 2; January 19, 1859, 2. MMHRGA, October 15, 1859, 2. MMHRGA, July 12, 1854, 3. MMHRGA, March 24, 1855, 3. MMHRGA, May 30, 1855, 2. MMHRGA, January 26, 1865, 2. MMHRGA, January 29, 1870, 2. New South Wales Government Gazette (Sydney, NSW), May 31, 1870 [Issue No.134], 1205. MMHRGA, May 27, 1871, 3; June 27, 1871, 2. MMHRGA, 11 February 1875, 4. Newcastle Morning Herald and Miners’ Advocate (Newcastle NSW), April 16, 1878, 3. MMHRGA, May 4, 1880, 8; September 21, 1880, 4. MMHRGA, March 1, 1856, 3. MMHRGA, April 28, 1859, 2. MMHRGA, July 2, 1859, 1. MMHRGA, July 13, 1861, 2. MMHRGA, February 27, 1862, 1. MMHRGA, October 10, 1861, 3; SMH, January 13, 1862, 2. The Weekly Advocate (Sydney, NSW), March 1, 1874, 386; Sources on the length of particular involvements are incomplete but there is no Wesleyan reference before 1865. MMHRGA, June 1, 1865, 2. The Weekly Advocate (Sydney, NSW), March 1, 1874, 386. MMHRGA, April 22, 1865, 2. The Maitland Weekly Mercury (Maitland NSW), May 8, 1909, 6. MMHRGA, June 1, 1865, 2; May 23, 1867, 2; July 18, 1868, 3; August 19, 1869, 1; October 19, 1875, 2; March 30, 1878, 7. MMHRGA, August 12, 1875, 4; July 12, 1883, 4. MMHRGA, January 3, 1880, 6. MMHRGA, February 11, 1879, 2; January 3, 1880, 6; January 8, 1881, 6. MMHRGA, May 8, 1875, 6. The Methodist (Sydney, NSW), February 26, 1927, 16; MMHRGA, April 9, 1874, 4. MMHRGA, January 8, 1881, 6. MMHRGA, September 14, 1865, 2; June 26, 1866, 3. MMHRGA, July 9, 1881, 8. MMHRGA, November 17, 1870; January 21, 1871, 2; February 1, 1873, 2. MMHRGA, December 14, 1882, 3. MMHRGA, February 3, 1866, 1; January 25, 1866, 3. MMHRGA, September 13, 1866, 2. MMHRGA, February 6, 1868, 3; February 8, 1868, 2. The Daily Telegraph (Sydney, NSW), February 4, 1895, 6; SMH, June 26, 1897, 10. The Daily Telegraph (Sydney, NSW), October 10, 1918, 4. MMHRGA, June 20, 1855, 2. Northern Times (Newcastle, NSW), April 27, 1857, 2. The Daily Telegraph (Sydney, NSW), March 8, 1893, 6. SMH, March 28, 1908, 10. Evening News (Sydney, NSW), May 21, 1910, 11. MMHRGA, July 5, 1866, 2. MMHRGA, January 9, 1868, 3. MMHRGA, October 28, 1869, November 3, 1870, 22. MMHRGA, November 21, 1867, 3. MMHRGA, July 1, 1869, 2. MMHRGA, July 3, 1869, 6. The Daily Telegraph (Sydney, NSW), September 18, 1891, 8. 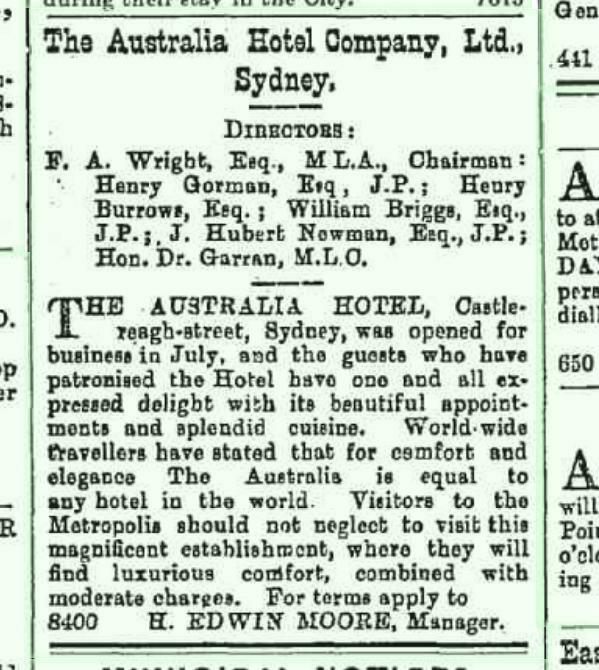 MMHRGA, August 29, 1891, 7; SMH, September 17, 1892, 6. SMH, June 19, 1889, 4. MMHRGA, March 18, 1884, 8; January 31, 1885, 6. MMHRGA, June 5, 1888, 5. MMHRGA, April 9, 1891, 1. New South Wales Government Gazette (Sydney, NSW), 9 September 1892 [Issue No.653], 7365. 50th Annual Report Deaf, Dumb and Blind Institution, 1911, 26. The Daily Telegraph (Sydney, NSW), May 3, 1913, 3; SMH, May 2, 1914, 18; The Daily Telegraph (Sydney, NSW), May 4, 1916, 8; SMH, January 3, 1917, 8; August 3, 1918, 7. By phinaucohi in Philanthropy on September 10, 2018 .